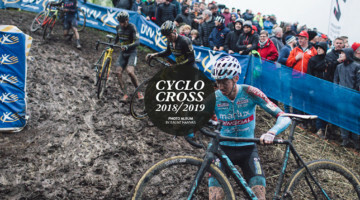 Cyclocross season is fast approaching, and to help you get ready for the upcoming season, we are doing a #crossiscoming series between now and September. We kicked it off earlier this week with a Training Tuesday about getting ready by first taking a break. For our second #crossiscoming, we are throwing it back to last season with a photo gallery from the 11th and final CrossVegas. 2017 marked the end of an era for U.S. cyclocross. After 11 years of CrossVegas at the Desert Breeze Soccer Park alongside Interbike, the race shuttered its Las Vegas doors after the 2017 race and moved to Reno with the Interbike trade show. 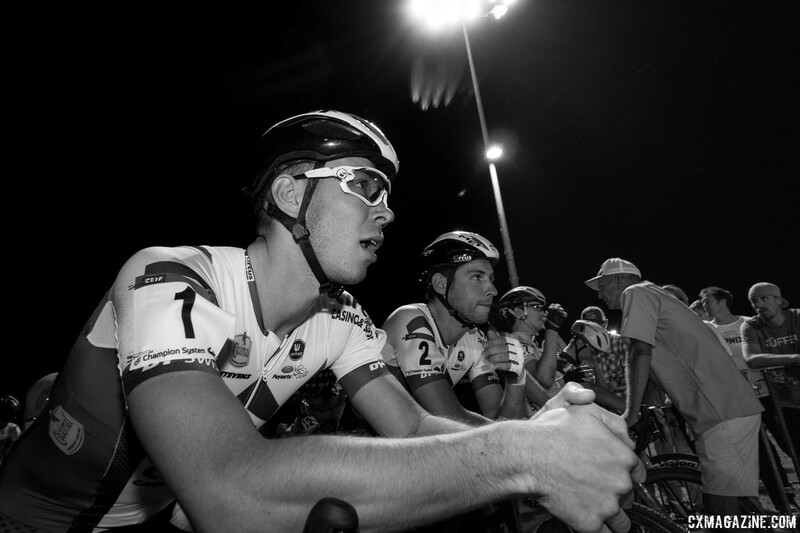 The race leaves an important legacy for the sport in the U.S. CrossVegas was one of the few races to bring international talent to the United States on a regular basis, and in 2015, it became the first race in the U.S. to receive World Cup status. 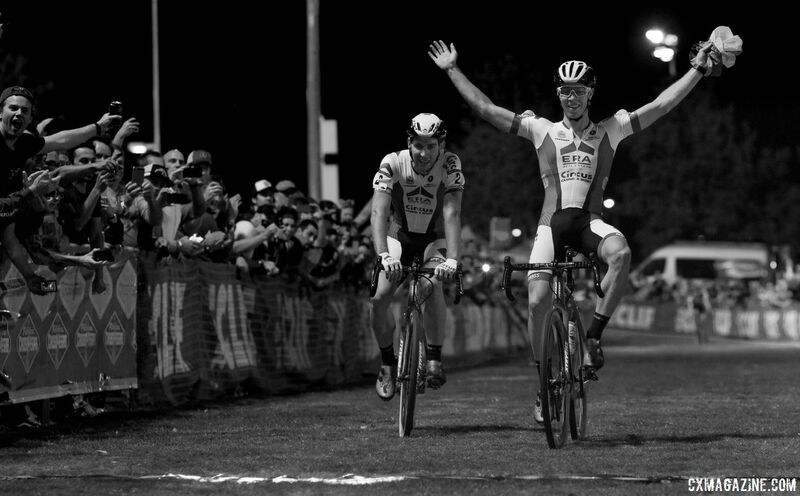 CrossVegas continued as a World Cup in 2016, but in 2017, it returned to its prior UCI C1 status. 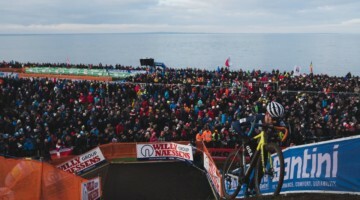 Sandwiched between the Jingle Cross and Waterloo World Cup weekends, the race did not necessarily have the firepower of the World Cup years, but it still featured a top-level field of domestic and international stars. That group made its way to the desert for one last CrossVegas hurrah through the thick grass and sand pits at the Desert Breeze Complex. Clif was a long-time sponsor of the CrossVegas race, and not surprisingly, the Clif Pro Team made a big showing in the Women’s race. Fresh off her win at the Jingle Cross World Cup, Katerina Nash (Clif Pro Team) carried the day with an attack in the uphill sand pit. Nash’s teammate, mountain biker Catherine Pendrel (Clif Pro Team), finished second in her first and last cyclocross race of the 2017 season. One rider with a big result was Ellen Noble (Aspire Racing). 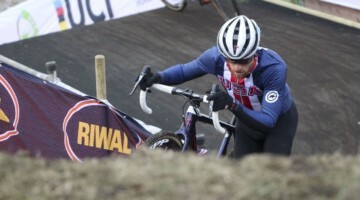 Noble finished third at CrossVegas and then went on to take third four days later at World Cup Waterloo in Wisconsin. Another of the standout performances came from young Clara Honsinger (Team S+M), who finished sixth in the desert and would eventually go on to take second in the U23 Women’s National Championship race in Reno. The Men’s race brought two Belgians in Laurens and Diether Sweeck west to race at CrossVegas while the other international riders stayed in the Midwest. Sweeck entered the race in Las Vegas on a roll after winning that Friday night in Iowa City and finishing second at the Jingle Cross World Cup. The two Sweecks came into the race hoping to make it a 1-2 Sweeck day. Laurens did his part by blasting off the front early in the race and riding solo until the finishing stretch. Diether got a tough challenge from Jeremy Powers (Aspire Racing) before he finally escaped the challenge from the four-time U.S. national champion. Laurens slowed down to wait for his brother during the last lap, and the two crossed the finish line together in a final memorable moment for the CrossVegas scrapbook. 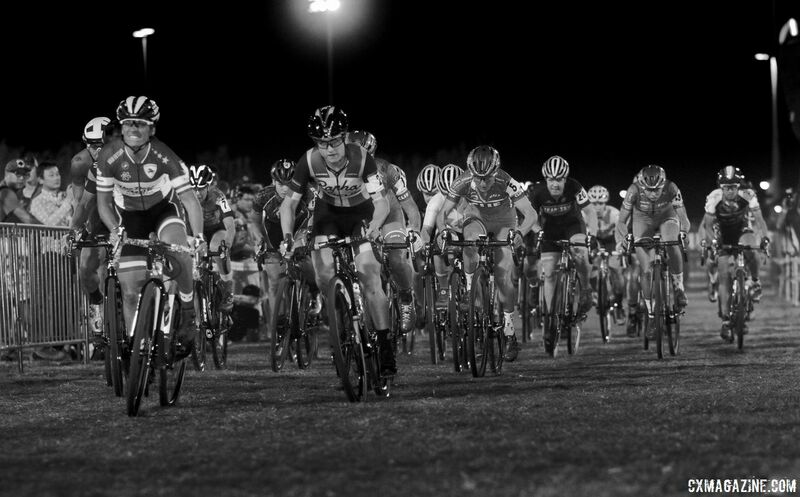 You can relive the two CrossVegas races with our Women’s and Men’s race reports. CrossVegas now moves to Reno as RenoCross in 2018. Brook Watts, who started CrossVegas in 2007, recently sold the race to the Reno Cyclocross group led by Coby Rowe that put on the 2018 U.S. Cyclocross Nationals. A new era for Nevada desert cyclocross racing begins in Reno on Wednesday, September 19. 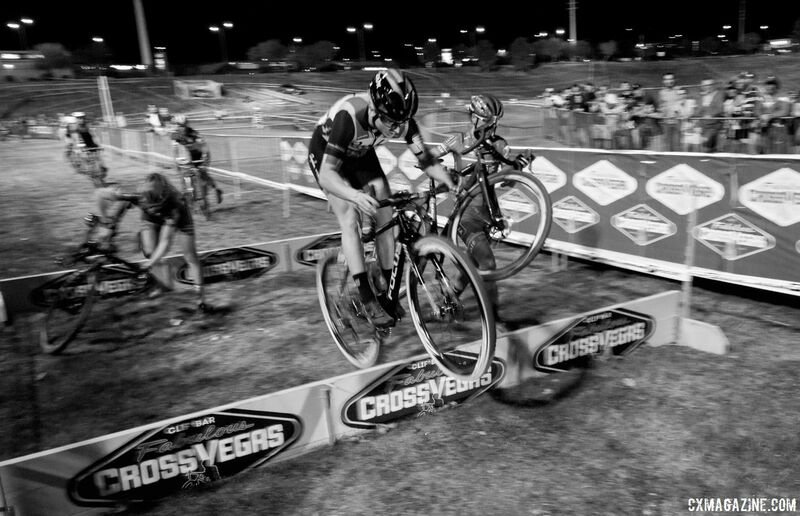 We take a look back on CrossVegas’ last hurrah with this black and white photo gallery from Andrew Yee. View more and own any of the images here. For more cyclocross preseason content, see our #crossiscoming series. Like any of the photos? You can own a print or download and support our coverage here. Previous post Gravel Bike: Amanda Nauman's DK200 Niner RLT 9 RDO "Cadillac"